Two of Ligue 1’s heavyweights meet this Friday night when title holders Monaco travel to Lyon. Both teams are in solid if unspectacular form so far this campaign, with the pair scoring plenty of goals apiece in the opening two months of the season. Lyon have become draw specialists, drawing four from their last five encounters and losing the other game to league leaders and favourites to win the championship, PSG. 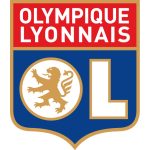 What is worrying for Lyon is that they have conceded 13 times in just eight games, which is too high for a team aiming to qualify for European competition once again come May. On the flip side, they have plundered 17 goals themselves, which shows that Lyon have so far not struggled to deal with the loss of star man Alexandre Lacazette, who was sold to Premier League side Arsenal in the summer. Young attacker Nabil Fekir looks to have stepped into Lacazette’s shoes seamlessly, scoring five goals so far. Lyon will need him to keep scoring if they are to have any chance of a top five finish. Monaco meanwhile have faltered in the last few weeks both domestically and in the Champions League. Their last league game saw a disappointing 1-1 draw at home to Montpellier and before that they were soundly defeated 3-0 at Stade Louis II against Portuguese team Porto. Already it is looking like it will be difficult for Monaco to retain their title after selling several key players, particularly teenage superstar Kylian Mbappe to rivals PSG. 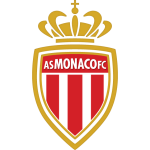 For this game, we advise backing freescoring Monaco to record over 1.5 team goals and for our correct score prediction, we see them winning the match 2-1. For those looking to place an anytime goalscorer bet, we think that Monaco forward Radamel Falcao is most likely to notch, while for an alternative bet, Lyon’s Fekir also looks good value to find the net.